Gas prices in West Virginia have increased by nearly six cents over the week to $2.908 per gallon, according to AAA East Central’s Gas Price Report. Gas prices are as much as a nickel more expensive on the week across the Mid-Atlantic and Northeast region (West Virginia, +2 cents). Inventories increased by a substantial 2 million barrels on the week – the largest add of any region according to the Energy Information Administration (EIA). At 65.2 million in total, inventories are among the healthiest levels of the year— yet a nearly 5 million barrel deficit compared to late May 2017. Over the long holiday weekend, the national gas price average has held steady for five days at $2.97, signaling that prices may be stabilizing as we head into June. This development comes as crude oil prices start to fall following some of the highest prices in three-years. At the start of the holiday weekend, reports indicated that OPEC may raise production levels to help ease global supply concerns. This announcement immediately brought down the price of crude, which is welcome news to motorists who have not only seen pump prices increase, on average, 16-cents since the beginning of May, but are paying the highest prices to fill up since 2014. Oil prices also declined after EIA’s weekly report showed that total crude inventories grew by 5.7 million barrels. A decrease in crude exports, an increase in imports and record-breaking crude production contributed to the inventory growth. The news was a surprise to the market, which expected to see inventories decline in the run-up to Memorial Day weekend. If the trend continues in the weeks to come, crude prices may continue to edge lower. 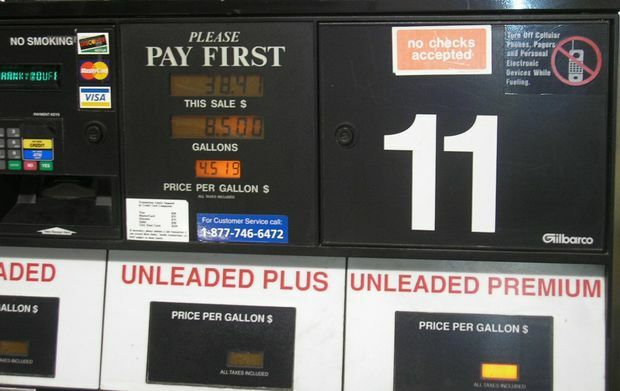 Gas prices, however, remain very expensive. On the week, three states have been added to the list of states with a gas price average of $3 or more – making for 17 states in total. Another four states are just pennies away from joining this list, including Indiana, Maryland, New Mexico and Massachusetts.